Dinosaur Comics - March 6th, 2009 - awesome fun times! March 6th, 2009: Your friend and mine Joey Comeau has had a book of his Overqualified cover letters published! It's so good, you guys. I wrote a quote for the back cover! And I will sell you on the book with just a link to this one cover letter sent to Nintendo. Kapow! 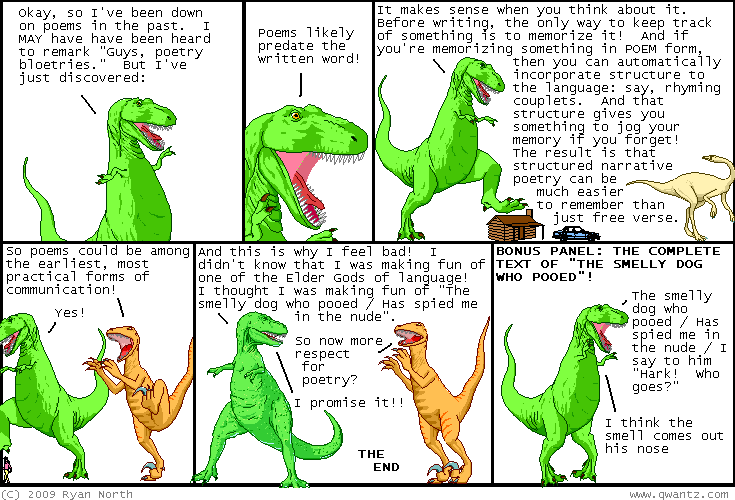 One year ago today: t-rex the talking dinosaur in: "i have no idea of what to do with my nazi pin."